If you do not want to go over your travel budget, hotel accommodations at our hotel in Greensburg, PA are a good option. 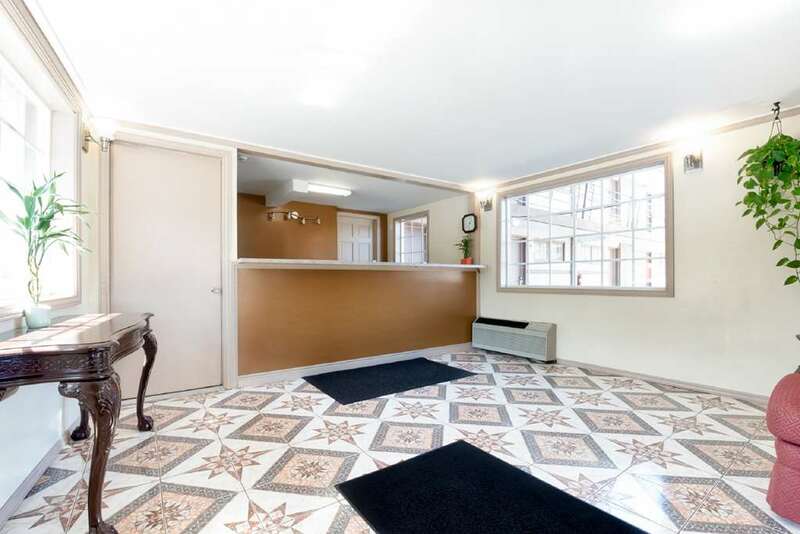 Amenities include free WiFi, free coffee, guest laundry services, a 24-hour receptionist and free parking. Guest rooms feature refrigerators and microwaves, sofa beds in select rooms, premium bedding, flat-screen TVs and coffee maker. There are several reasons to visit the Pittsburgh metro area, and the convenient location of our Rodeway Inn offers easy access to attractions like the Idlewild and Soak Zone, Kennywood amusement park, Seven Springs ski resort, Westmoreland Mall and the Robokyo Japanese Steakhouse. Get the basics on a budget when staying at our hotel in Greensburg, PA. And remember that you can also earn rewards, including free nights and gift cards, with our Choice Privileges Rewards program. Pets are Allowed. 20.00 USD per night, per pet. Limit 40 pounds, maximum 2 pets per room.